server role can be load balanced by jetNEXUS ALB-X? business critical importance demands a high level of service delivery. the most demanding traffic profiles. It is advised to create a simple url for webscheduler. This url should map to the same external internet facing IP as meet and dialin. you can create DNS SRV records and forwarding rules for your external interface for external user signin without autodiscover and federation traffic. -> your edge external interface FQDN. address. Each NIC has a single IP address. 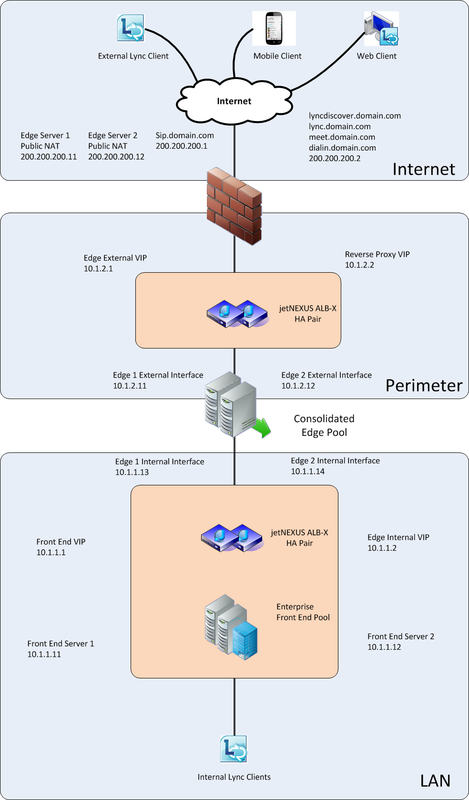 An Edge pool, consisting of two nodes. 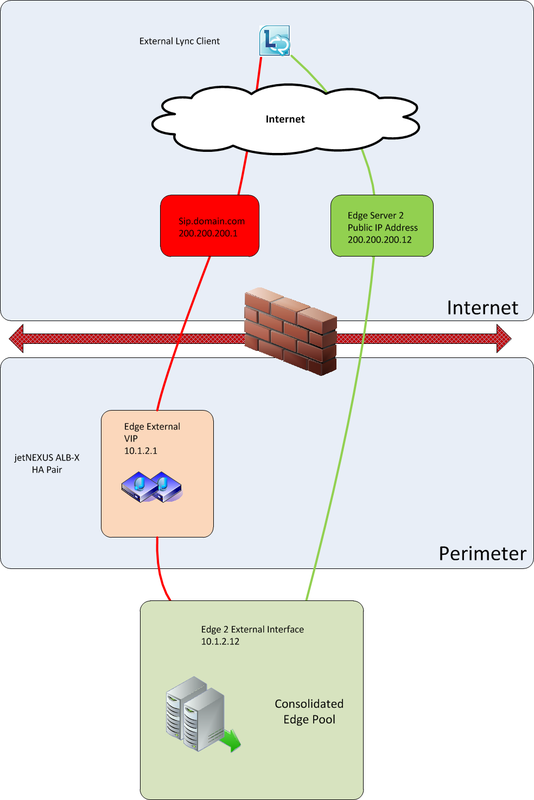 An Enterprise Front End pool, consisting of two nodes. private IP address. 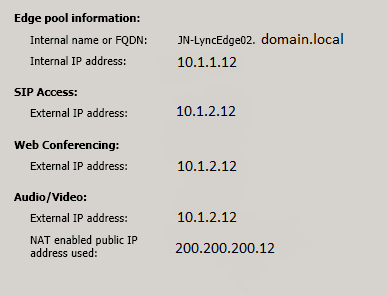 Each NIC has a single IP address. services to a common group of users. home user accounts or provide presence or conferencing services. the Front End server role. be installed as a single role or with the Front End server. conversations, Group Chat and conference logs. here we have given Edge Server2 the Public IP address 200.200.200.12.
this public IP address to the External IP address of each Edge Server.